Conflict really can get quite tricky. Relationships can be destroyed so easily and it is hard to get back to where you were before. So, in this third part of Conflict at Work we are going to look at what’s going on for the other people in this situation and how to take the personality out of conflict. Acknowledge the other person’s point of view. That doesn’t mean that you must agree with them, concede the point or diminish your own position. The reality is that we each see our own view of the world. This doesn’t mean that someone else’s view is wrong – simply different. 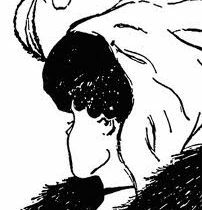 Have a look at this picture above: Do you see a young woman or do you see an old crone? Do you see both? Whatever you see, you are neither right nor wrong! Consider this when you hear another person’s view point. They are simply saying it as they see, hear or feel it. You can develop a skill to acknowledge what the person is saying without agreeing with them. Saying “I hear what you say” or “I can hear your frustration/annoyance” does not mean you are saying that person is right or wrong. However, by acknowledging their viewpoint, you are opening dialogue to move forward and, hopefully, getting your view listen to. Take time to consider what you can and what you cannot control. Too often we get lost in an argument and start stressing over things we have no control over. When someone says something that you disagree with, the one thing that you do have control over is how you respond. When we act on automatic pilot we often say things that are not helpful to a situation. By speaking without thinking we can often damage a relationship. We often hang onto the feelings that conflict elicits long after we’ve forgotten what it was we argued about! Take time to think about your response when someone says something that you disagree with. If you are upset by something in writing (for example an email), take time to draft and re-read your response before hitting the “send” button. If you are with the person, take a couple of breaths before saying anything. It may seem like an age, but it is only a couple of seconds – a couple of seconds that can save weeks, months or even years of poor relationships. Whatever you can do, do make a space between yourself and the situation. Choose your response rather than regretting your reaction. One of the worst things to say in an argument or disagreement is “you make me feel…” The truth is that nobody makes you feel anything – you do that yourself. Own your feelings (and often a feeling simply wants to be acknowledged rather than have any particular action taken to remedy it!). The best way to keep things impersonal is to stick to the issue and not the personalities. Don’t blame other people. For example, as I am writing there is a coffee machine going through a cleaning routine right behind me. I find the noise very annoying. I could blame the person who switched on the cleaning function. However, that person wasn’t aware when doing something routine in his or her job that I would not like it. And that person isn’t doing anything to annoy me, so making it personal would be counterproductive. After all, if in the future I want a coffee and the machine isn’t working, I would want this person’s help. Always consider that you may need this person’s help in the future, so by making any disagreement personal you are burning your own bridge. Keeping personalities out of the situation means that you can both keep your dignity – and your relationship. In our final visit to conflict at work we will look at boundaries and limitations around conflict and a reminder of communication in keeping relationships working!